Rear projected video of the traversal of an island where the shore meets the land. The image rises to the middle of the screen but no further, then inverts. 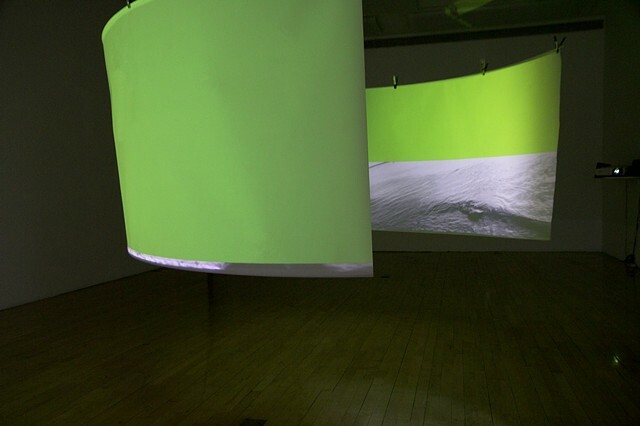 The accompanying soundtrack features crescendos of sounds from the island interlaced with those of pen on paper, all imposed upon the luminous void of the green screen.